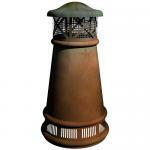 Why Choose a Copper Chimney Pot? 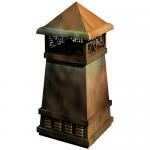 Copper chimney pots endow your home's exterior with a touch of style and quality. 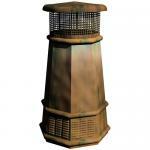 European copper chimney pots are easy to install with included hardware. 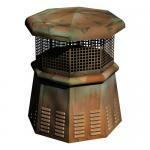 Copper Chimney Pots complement the architecture of many homes. 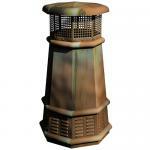 These copper chimney pots are made of 100% copper and and feature a lifetime warranty. These decorative chimney caps provide excellent rain protection. European Copper Chimney Pots also deter birds, bats, squirrels, racoons, and other pests Copper chimney pots aid in the control of chimney backdraft Well constructed chimney caps, such as these, help improve chimney safety and serve as a spark arrestor.